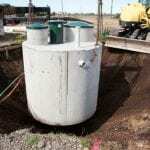 Home > Septic Services Blog > Is Septic Tank Maintenance Really Worth the Cost? 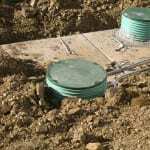 Is Septic Tank Maintenance Really Worth the Cost? It seems like anywhere you look, there are maintenance costs! You have to get your teeth cleaned every six months (at least! ), get the oil changed in your cars every 5000 miles, and most insurances want your whole family to have a physical every year. With all these little maintenance checks to remember, it’s easy to see how your septic tank maintenance can slip under your radar. After all, your septic tank is buried under the ground and really won’t complain too much until you’ve forgotten its maintenance checks for too long. While it’s easy to see the benefits of regular teeth cleanings and filling your engine with oil, will septic tank maintenance really be all that beneficial? Septic tanks are a system like a car’s engine is a system and like our body is a system of parts, so they should be maintained as such. When you think about the cost of repairs or replacement, a simple maintenance check can save you quite a lot of money in the long term. Just like regular oil changes are much cheaper than replacing your car’s engine, septic tank maintenance is necessary for keeping your septic tank running smoothly. With regular septic tank maintenance, we can check for cracks or other issues that, if left untreated, could end up costing you more than a large sum for the repair. At Clark Septic, we understand that septic tank maintenance isn’t high on your list of things you’d like to spend your hard-earned money on, but we would also like to impress upon our readers the importance of regular septic tank maintenance. It is always worth the cost!